Established in 1990 and operating from Cookstown in Co. Tyrone and Doncaster in Yorkshire, BA Components has grown steadily to become a major manufacturer of kitchen and bedroom doors and accessories in the UK and Irish furniture components industry. A firm favourite with our customers thanks to it's clever curved design, smart storage, calming colour and gorgeous glossy finish. 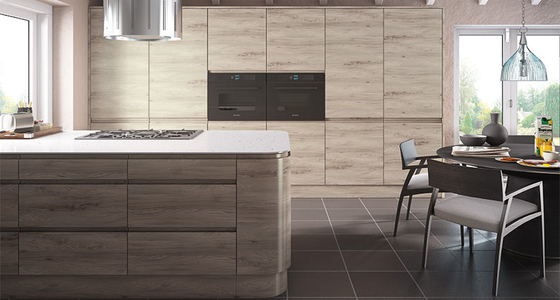 For a seriously stylish kitchen design, look no further. 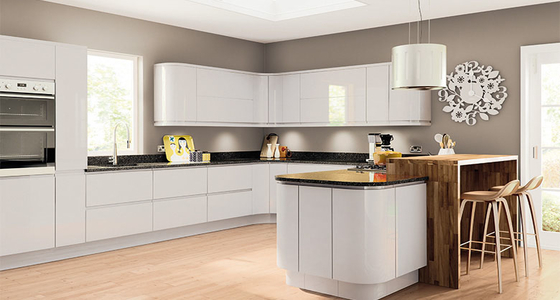 Minimalist finishing including curved edges and no handles combine for a very stylish and very striking kitchen design.